Now that spring seems to have finally arrived I decided to make a sunny canvas for my weekly design team inspiration for Visible Image stamps. I also stamped and fussy cut out some flowers from the Imperfection is Beauty set. 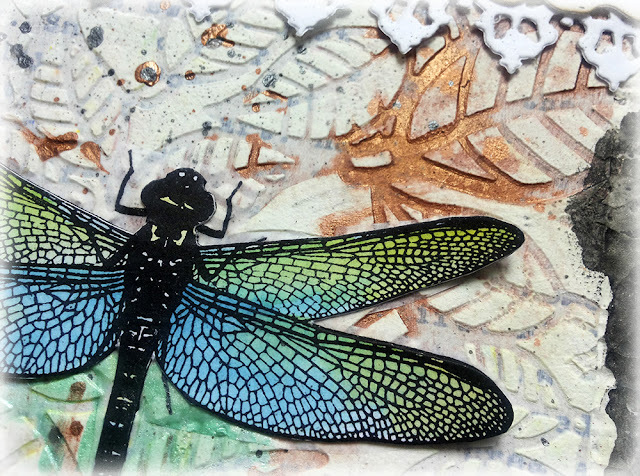 I stamped my dragonfly on a scrap of alcohol ink mop up card and fussy cut him out. I added Glossy Accents for some shine. and a couple of close ups..
We will be back a little later with amazing inspiration from Lisa Taggart! Hi there! We have a stunning card from Jane Tyrrell to share with you next today! Wow what amazing weather we enjoyed last weekend. the first to bloom was this lovely mellow yellow variety. 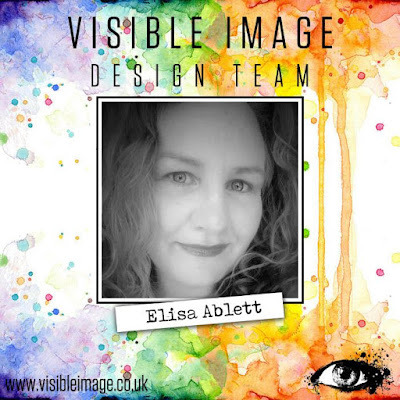 My lovely tulips inspired me to go for something cheerful and bright for my Monday Design team inspiration piece for Visible Image today. 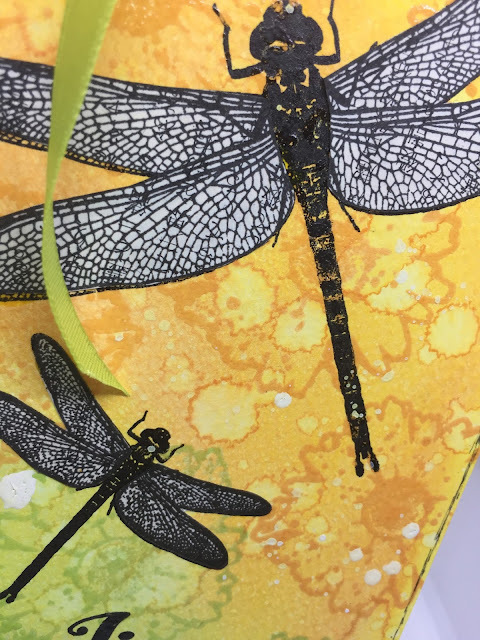 I put a circle mask into the centre of my card and repeat stamped the dragonflies using different yellow and oranges from my Distress inks. 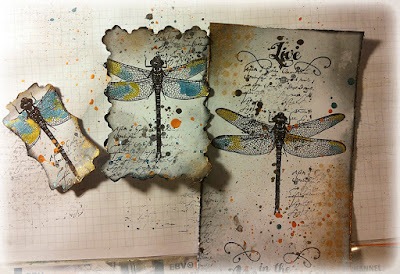 You can just make it out in the bottom right larger dragonfly above that I added a wink of stella glitter to the wings. 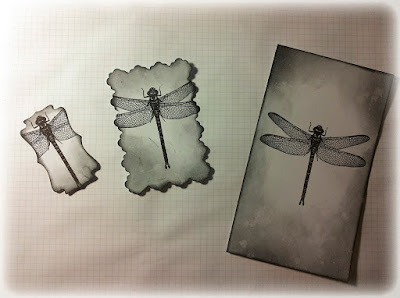 I black embossed some extra dragonflies on some inky card and then fussy cut them out. I added a wink of Stella glitter and then Glossy Accents for lots of shine and shimmer. Then it was time to put my card together. It was very hard to photograph as it is so sparkly in real life! tomorrow, we will then resume our ‘once daily’ blogging (as we will have caught up!). and doing the final prep for the Crafting at Ally Pally show next weekend! Good morning, afternoon or evening! Wow this week is going quickly! Good Morning!! Have you been enjoying the new release previews?? The DT have and we can’t wait to get our hands on them to start creating some inspirational samples for you all!! 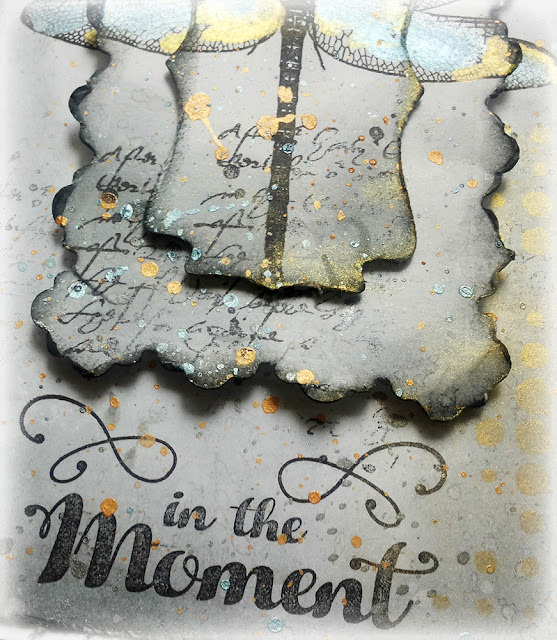 For now we are contenting ourselves by playing with our existing stash…this week I have a mixed media journal page to share – I have lots of step by step photos to help you through the creative process, hope you enjoy it! Some details added with a white gel pen and black fineliner complete this page…. thanks for sticking through all the pictures, I hope that they help explain how I build this type of project!! Wow! Absolutely love this Teresa thank you ♡ Great to see how it came together too! 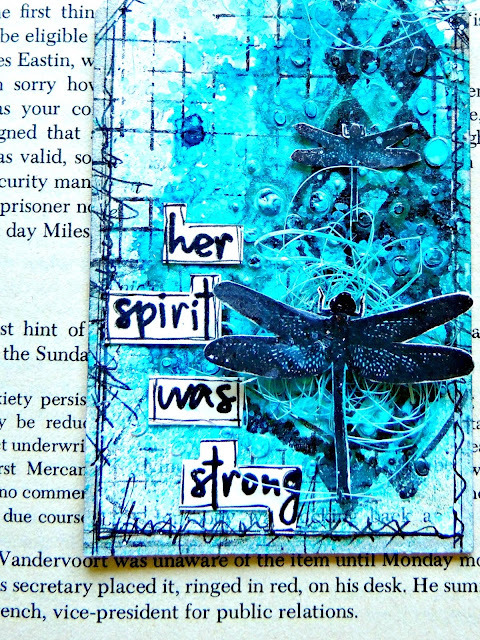 You can find more of Teresa’s cards and projects over on her blog. We hope you will pop back later to see preview #8. This coming week is packed full of gorgeous inspiration created with our NEW stamps, leading up to our show on Create and Craft TV on Sunday at 10am… Valentine’s day… a perfect day to spread some Visible Image LOVE! ♡ ♡ ♡ And we know you will love not only the products on the show but the amazing demo’s Mark and Pauline have planned! We can’t wait!!! Today I am so excited to share my first project made with the awesome new products by Visible Image!! Yay! As part of the design team, I was very grateful to be given some of the new MDF “Monoliths” and new stamps to play and share today. The Monoliths and Dragonfly “Live in the Moment” are available for pre-order now! This play was lots of fun and I really tried to use everything I love in making it! 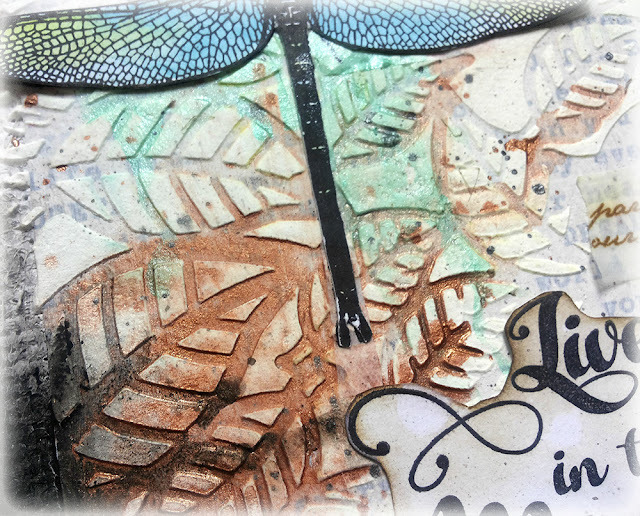 I created the background with my DecoArt Blogger stash. Yummy DecoArt Crackle Paste, Fluid Acrylics and Antiquing Cream. 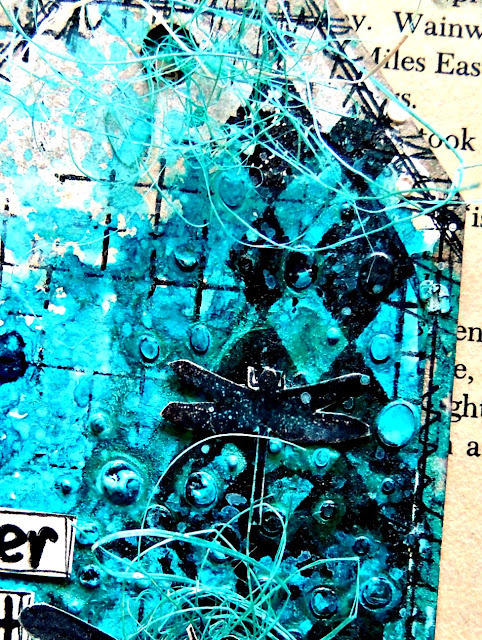 The flip side is collaged with mat medium and DecoArt Fluid Acrylics. It is edged in the DA Fluid Acrylic Gold, love the shine it has. 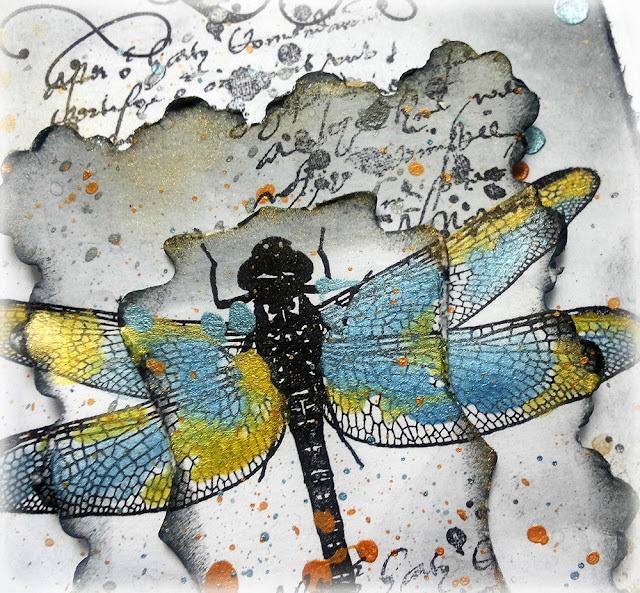 Everything is heat embossed because I love embossing and dragonflies. So I had to combine all the things I love in this project. It makes them shine 🙂 I used Ranger Extra Fine Black and Recollections Bronze powders. 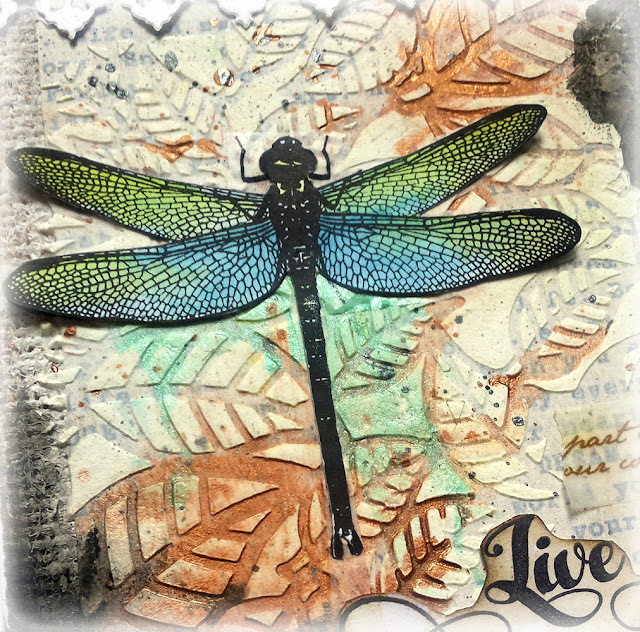 We will be back later today with a fantastic card by Kim Bacon featuring another of our awesome NEW stamp sets! Have a good Monday 🙂 We have a very busy day ahead!!! SO many stamps to cut and package! Hi my dear Visible Image friends. 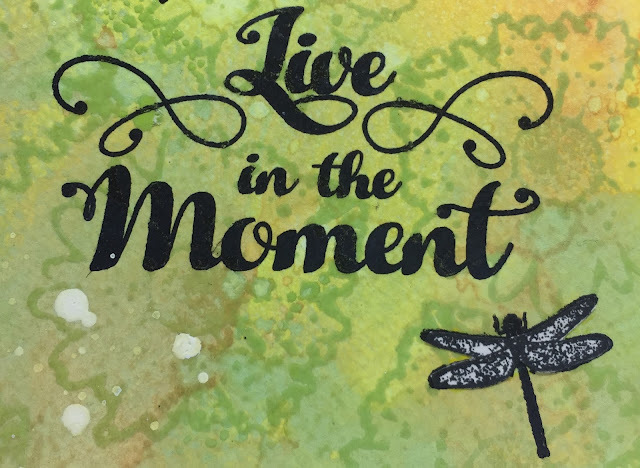 I’d like to share another project with the brand new “Live in the Moment” stamp set from the Visible Image Febuary Release. I made a video tutorial for you, also. You’ll find all the supplies I’ve used at the end of this post. I hope you had fun watching the video. More awesome projects with our NEW stamps and MDF Monoliths are on the way! Good Afternoon! Hope you are having a great weekend so far. Susanne Rose is here to inspire you today, with a stunning project created with one of our BRAND NEW stamp sets due for release in February! Hi everyone. I am very proud to show you one of the brand new stamp designs from Visible Image that will be released in Febuary. 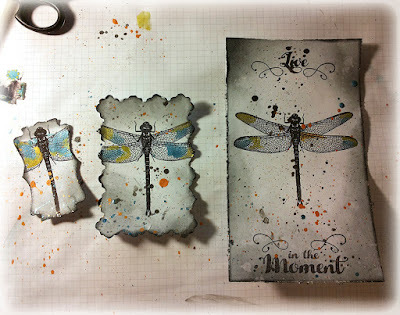 I used the awesome dragonfly from the “Live in the Moment” set. To add some dimension to the card I layered different labels on top of each other. Scroll down to see some step by step photos. 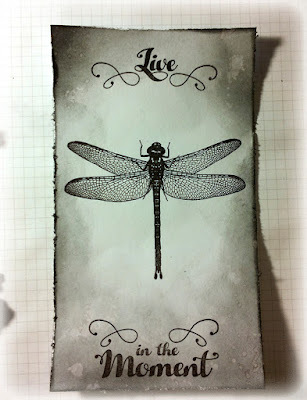 I started by inking the lables with Distress Ink Black Soot and stamped the dragonfly into the center. To separate the sentiment, I always masked the part I don’t want to stamp with washi tape. I inked the stamp, removed the tape and stamped. I add color with pearlescent watercolors and distressed the edges of all the layers. I stamped the script stamp from the Revolution set partially into the background to add more interesst. For some more sparkle I used the Retro Dots Background, stamped it with VersaMark ink and added gold metallic PanPastels. I use 3d foam pads to build the layers and adhered everything onto a white card base. I hope you like my card. I’m totally excited about this awesome stamp set. Love it! WOW! Isn’t this just amazing! One of those projects you can’t stop looking at, so much fabulous detail to be seen! Hi there! We are back with our second post this evening. 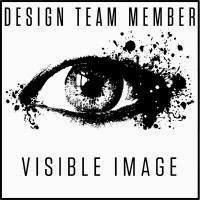 Today I want to show you one more card for Visible Image! which I made with the help of their amazing stamps! 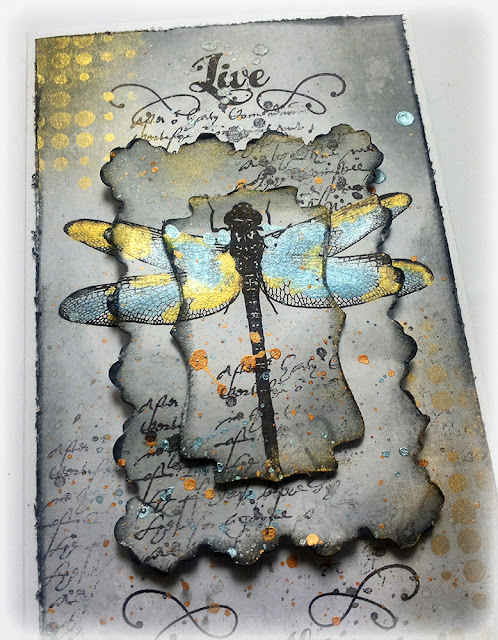 Fabulous card from Elena… Love the beautiful embellishments against the inky background! You can find more of Elena’s work over on her blog. 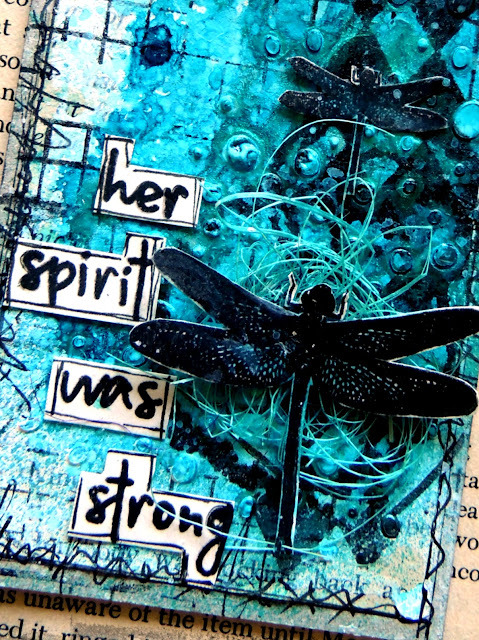 We will be back tomorrow with more stamping inspiration!